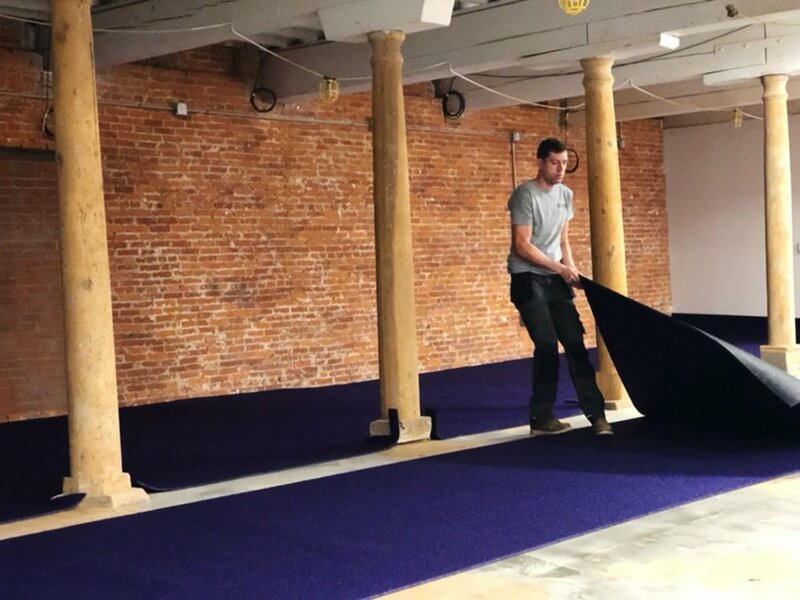 We recently had the privilege of installing flooring for a new Anytime Fitness location opening in Lancaster, PA. Renovations in the nearly 200 year old building began at the end of summer 2018 with an aim to be open in the late fall. 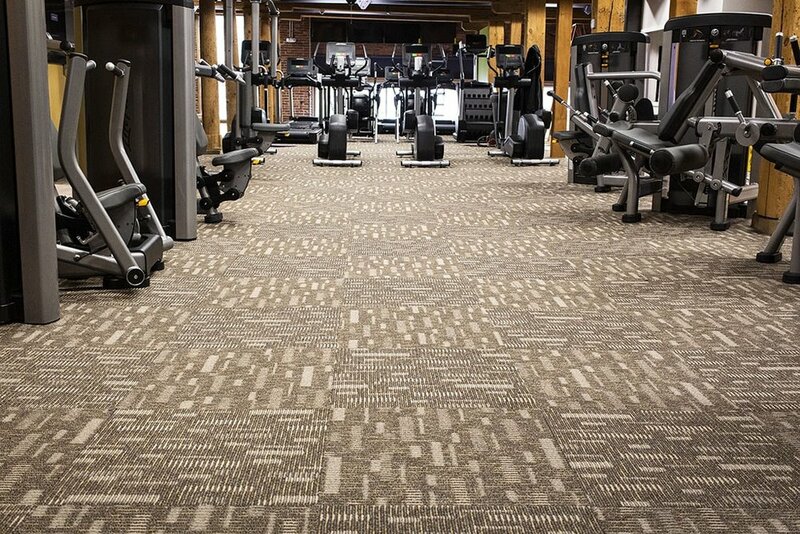 For our part, it was a challenging and rewarding project. 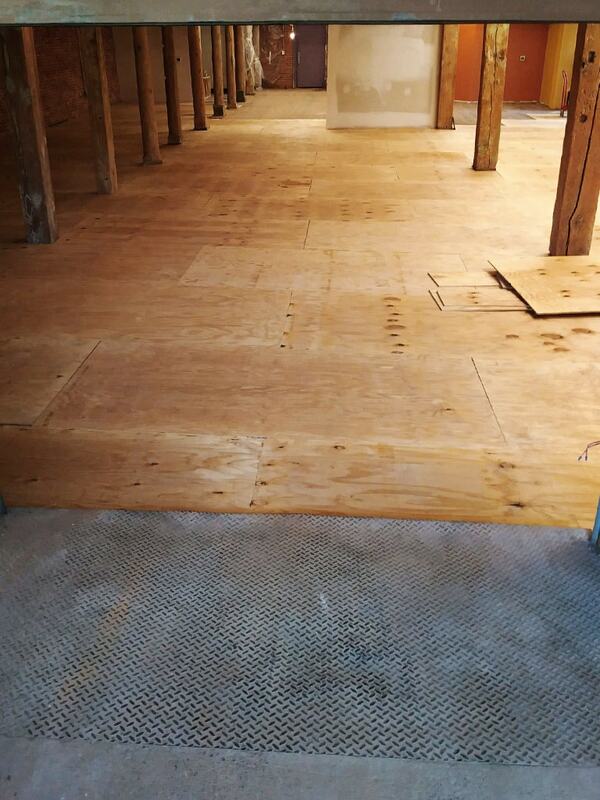 The preparation of the subfloor was by far the most extensive and demanding part of the installation. 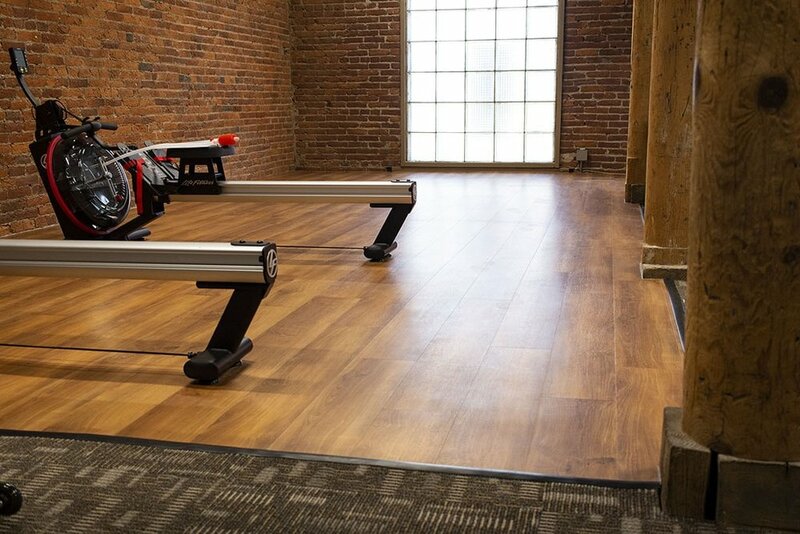 The condition of the original subfloor, while nostalgic, was not fit for the new resilient luxury vinyl plank (LVP), carpet tile, rubber, athletic turf, and ceramic tile flooring to be installed. 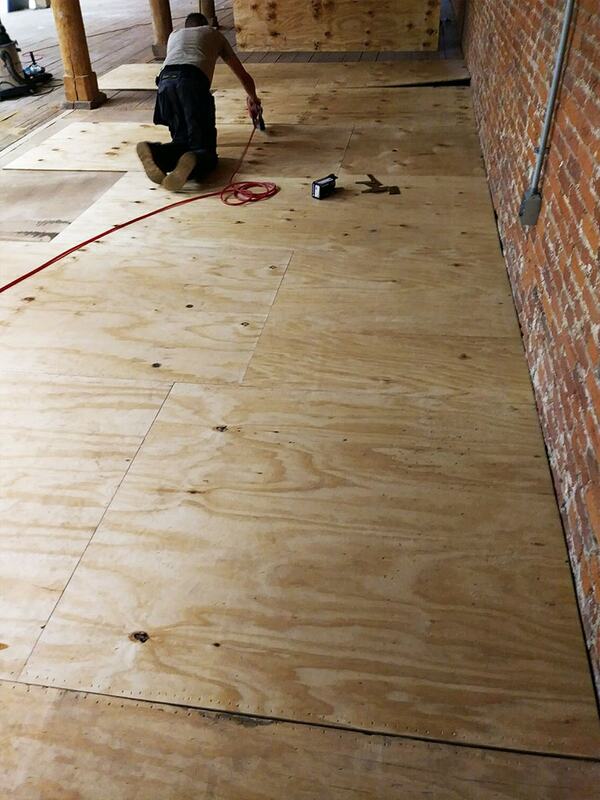 Our technicians got right to work bringing in 118 sheets of 1/2” plywood, almost 4,000 square feet in total! 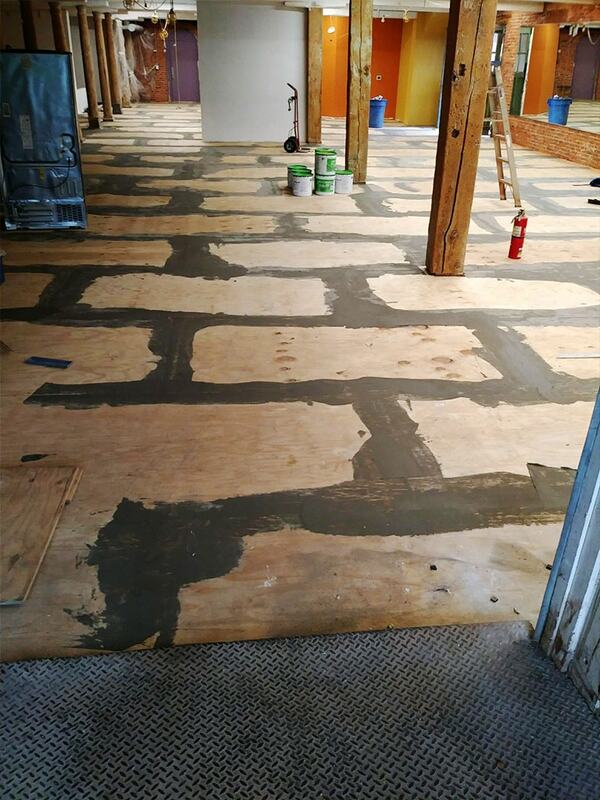 They nailed down each 4’ x 8’ sheet and quickly began patching all the joints with mortar for a smooth surface wall-to-wall. When the patchwork was dry, our flooring technicians tagged in Lester, our warehouse manager, to sand the joints to a seamless finish. Together with a floor polishing machine custom-fit with sandpaper, Lester smoothed out the surface of the patchwork like a pro. Then he found the nearest telephone booth, changed into his superhero outfit with matching cape and flew off to prevent the next catastrophe! 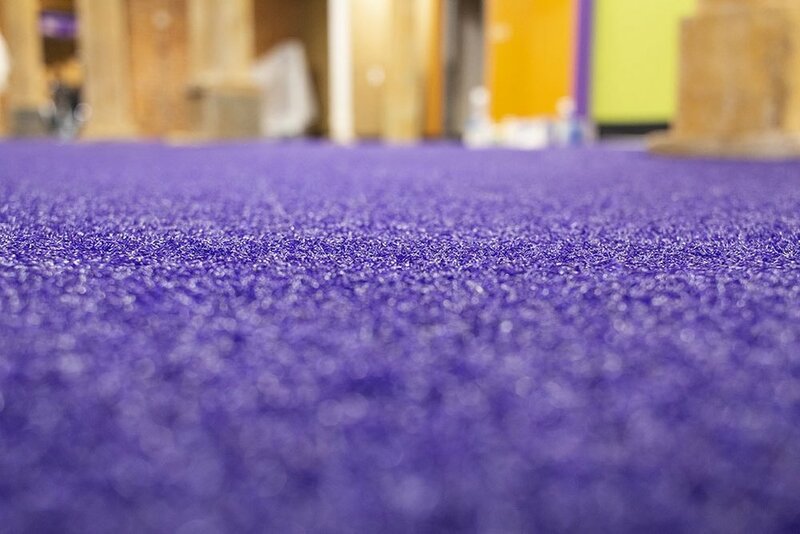 Once the subfloor preparation was complete, our technicians took the next 3 days to install 1500 square feet of rubber flooring, 1100 square feet of athletic turf flooring, commercial grade LVP, and commercial carpet tile. 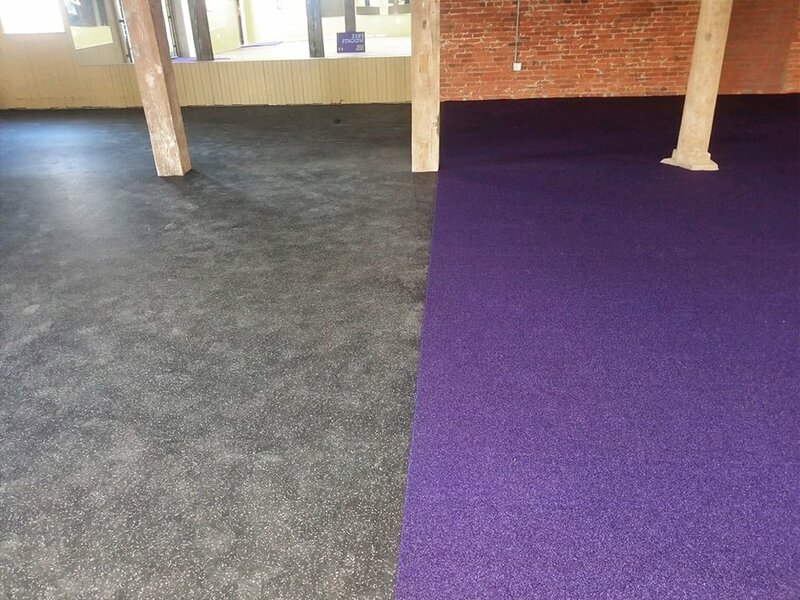 Josh, our lead technician, went on wrap up the project installing 6” black cove base throughout the space. At the front of the building, our technicians installed a floating LVP, Patcraft’s Click Refresh LVP. The color of choice was “Spiced Cherry” (#820). 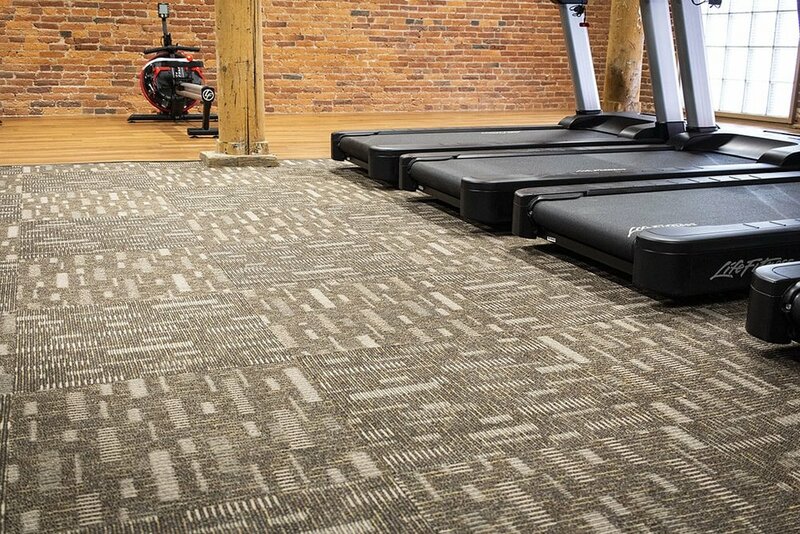 Waterproof, highly scuff-resistant, and available in tons of different looks, LVP has become a very popular product for commercial projects. A happy customer is high priority of ours. 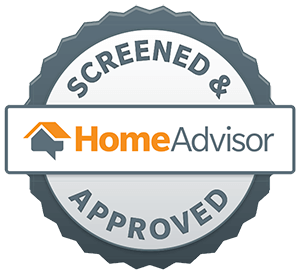 When we can get the job done with excellence and the customer is pleased, we’ve accomplished our goal. 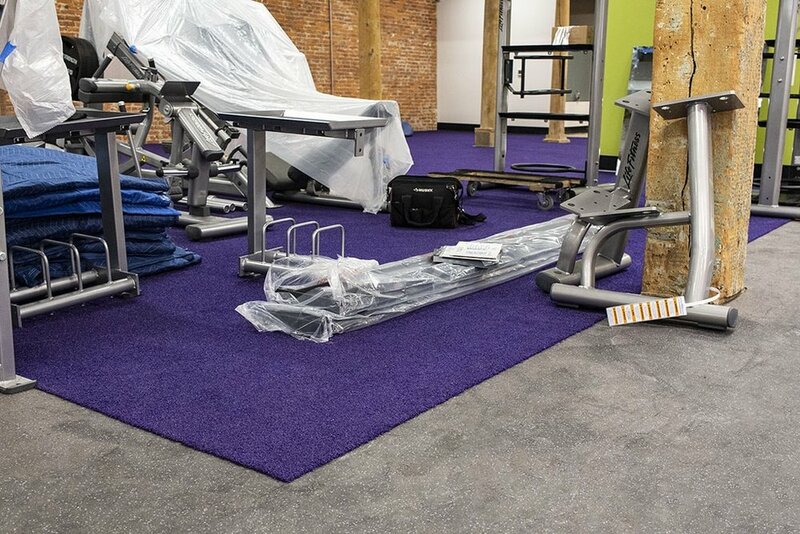 So when Anytime Fitness’ owner and general manager, Courtney, was pleased with our team and the final product, AND she left us a really positive online review (which, if we’ve installed for you, you can do right here if you’d like), we were thrilled. Everybody wins! Thank you so much Courtney and Anytime Fitness for the privilege to serve you, and we wish you the best as you open your new location!